Herman Badillo was the first Puerto Rican US congressman (1970-78). Badillo was always a fighter. He arrived as an orphan from Caguas at age 11, and was raised by his aunt. He worked full-time as a dishwasher, bowling pinsetter and accountant, and attended Brooklyn Law School at night…where he graduated first in his class, at age 24. Badillo was also a fierce campaigner. He ran city marathons to stay in fighting trim, and he had a homespun secret. 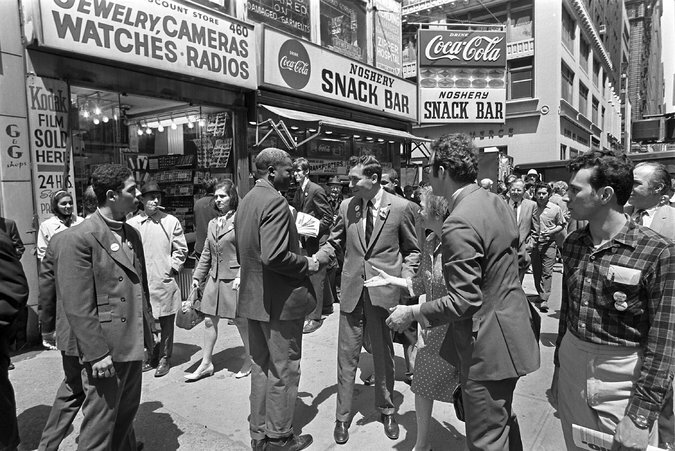 Whenever he campaigned in Puerto Rican neighborhoods, he introduced himself as “Herman Badillo,” using the castilian form of his last name (Ba-DEE-yoh). In Italian neighborhoods, his name became Herman Badilio (Ba-DIH-li-oh). In Jewish neighborhoods he was just Herman. HONOR WERE HONOR IS DUE!! Very proud to be part of his life as family member. We always adimired him for his humbleness, intelligence, disposition and fighting spirt! A great role model for all of us, Puerto Ricans. “ORGULLO BORICUA” !! I had the honor to have lunch with Herman when he came to Passaic, NJ to help a latina who was running for mayor. I’m 76 years old and that was 45 years ago but it seem like yesterday. Badillo was a great person for Puerto Ricans in NYC. I remember well as a young man. I was proud to see him on TV. “Herman Badillo was the first Puerto Rican US congressman (1970-78).” ….. honor were honor is due! !